Super Saturday and Showcase Update! Saturday was another wonderful day! Our sunny day streak continued as campers played in the sunshine. The one thing on everyone’s minds – tonight’s Dinner Dance: “A Night at the Appies”. The Dinner Dance has an award show theme, complete with golden statue decor. 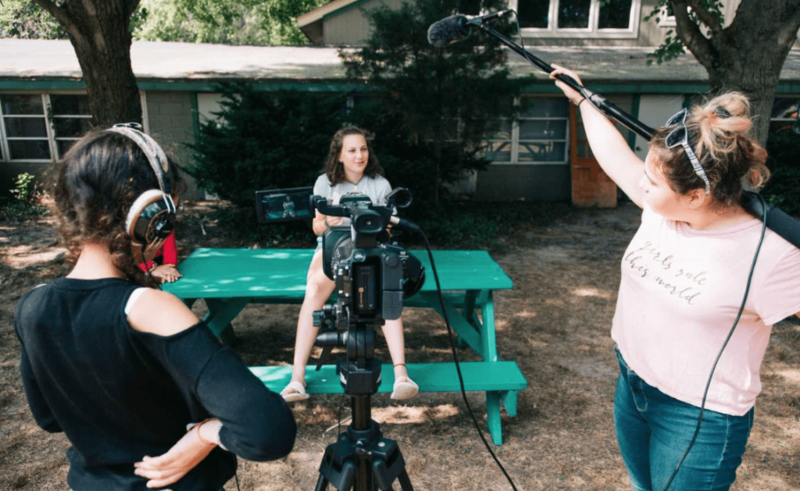 Campers will get dressed up for dinner and a dance, while staff will dress up as celebrities, security guards,paparazzi, and all sorts of other characters within the theme. There will be a live band playing music throughout dinner, while the rest of the counselors serve as waitstaff, serving up every camper’s wildest orders! Still buzzing from an amazing Friday Night concert, campers have already turned their attention to Sunday night’s Camper Counselor concert, working on a variety of pieces to perform with their counselors. Speaking of performances, make sure to read this important information about next week’s showcases and performances! You’re Invited to our Session 2 Showcases next week! Our theater seats about 325 people, and we already have 300+ people here with our campers and staff. We are anticipating a very full theater with all of our campers, counselors and guests. We ask that you limit the number of guests you are bringing to 2 people per camper, if possible. We will have video footage available after camp that you can share with friends and family! Plan to arrive only ten minutes early, because your children will need every last minute for technical rehearsals. Please only attend the parts of the showcase in which your child is performing. If your child is performing in multiple parts, then you are invited to stay for the entire day. Please take careful note of the instructions above one lunch and dinner. Our kitchen will need to prepare for additional guests, so if you would like to stay for a meal based on your camper’s performances, we need you to let us know via email reply no later than Tuesday, July 17. We understand that many of you will want to visit with your camper before or after their show, but please keep in mind you will likely see them the next morning either for Check-Out or Visiting Day, and will have lots of time to visit then. Campers are not allowed to leave camp for dinner or after the performances. Every minute of camp time is precious and we want your child to have all of it they can! The last night of camp is filled with special rituals and traditions that we don’t want your child to miss out on.